Pastor Umar Mulinde for the Nobel Peace Prize. Why nominate him? A man of true courage. Why sign the petition from change.org? Read the reasons. Pastor Umar Mulinde for the Nobel Peace Prize. Why nominate him? A man of true courage. Why sign the petition from change.org? I tend to have the perhaps crazy belief that people will listen. And when something feels really right to me, I often act. And who is Umar? Living in a country with a high Muslim population, he left Islam and converted to Christianity though he knew the risks. He even became a Christian minister. And he spoke out for Israel. His face has been half burned off by acid. My sense: his amazing courage must touch people. Masses of people will want to sign the petition, just to show their support. I've been disappointed at the low number of people who have signed so far - only 155. Way more people have seen the petition, including through lots of counter-jihad Facebook groups. On the other hand, I've been touched by what people have written, on why they signed. The first person wrote: "Because he stands for love." You can read all the comments below (names deleted, in case anyone doesn't want their name public). If you care about the petition, what could you do? Share it wherever possible. Church, synagogue, temple. Is it safe for children to bring this to school? I don't know. Rome wasn't built in a day. Those words are going through my mind. Like many of us, I keep on trying. And now, once again, Happy Holidays, with wishes for peace on earth, the true peace of safety for all of us to flourish. I have lived in the Middle East for more than 15 years and I know that these brutes have to be stopped. In my opinion, it's important TO YOU that the Nobel Prize (other than regarding the scientific) begin to attempt saving its image. The time has arrived to begin anew looking at its candidates in REAL and honest terms, rather than the "politically correct" and the purely popular view. If there's no one truly deserving in a given year, why should one be awarded? Your brand decreases in value when you aim only to please a certain segment of the population.... Yassar Arafat?.....PEACE PRIZE...(after being offered everything he wanted, got up and walked away from the peace table.) You became a laughing stock at THAT time. You wanted to be 'fair' to all concerned..not offend one side. One side offered all for PEACE while the other walked away. You lost MY respect and any attention at that time, and many recipients since have only increased my certainty. To stand for what one believes in the face of an opposing evil can only instill such courage in others who are suffering under some form of oppression to stand up to evil, thus bringing those who are instituting the oppression to reconsider and give up the violence used to force others under oppression. I want to speak without fear about these injustices in the name of religion. Honor men of faith and of courage ! We want to praise our Lord. Freedom of speech and religion is our most basic freedom. Time we stood against the brutality of Islam and exposed our refusal to ignore it any longer. No person on earth should be persecuted for his/her own religious beliefs as long as they do not infringe on the rights of others. This is a very brave man and the world should support him. EVERYONE living under the OPPRESSION of Islam deserves our Concern & Support! Helping those who WANT to leave Islam - HELPS EVERYONE! The question is, why isn't it important to everyone?? This man's courage needs to be recognized and honored! Islam is an oppresive blight of ignorance, violence, and hatred. Many more Christians, Jews, and other religious people will be maimed or killed by Islam's doctrine so long as the world remains ignorant or indifferent. Pastor Umar Mulinde's persecution will serve as an epiphany. This man's faith must be honored and the lie that tried to kill him must be despised. It is time for the world to recognize the destruction that Islam is bringing to those that are just trying to live in peace. Despite efforts to kill and silence him, he stands up for Peace! This is important because Pastor Umar Mulinde showed great courage in standing for his new-found faith in Christ against unspeakable persecution by his Islamic persecutors. He should be recognized for his faith and courage. There can be true peace only when people are free to follow Truth without being persecuted for it. By refusing to cave in to those who would deny this basic human right, Pastor Umar Mulinde has hugely advanced the cause of peace in the world. For exactly the same reasons mentioned in your mail. I endorse every word of that. Freedom from fear is worth defending. Our Western way of life is based on the Golden Rule and critical thought, unlike the uncivilized world that is built on tribal supremacism and authoritarian thought. 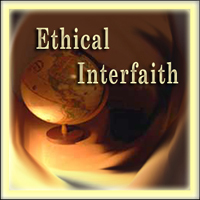 It is immoral for self-styled multiculturalists to claim there is ethical equality between the two world views. What happened to Pastor Mulinde is a crime against humanity. Many Christians in Muslim countries are being persecuted. Here is a man of great faith. It is crucial to shine the light on those courageous to stand up for their faith in the face of cerain persecution unto death. 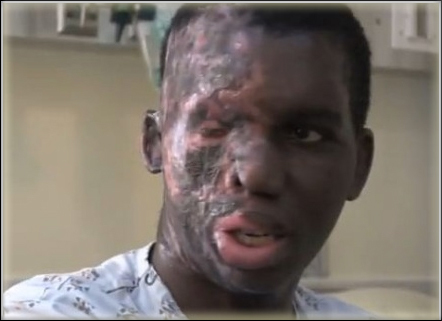 The bravery and integrity of people such as Umar Mulinde is the only healing force in the world today. They represent our best chance for peace. A very brave man, indeed. He deserves a lot of credit for being so strong in this world today. I salute his courage to profess his faith in the face of utter evil. Peace to him and to all those who suffer persecution because of their faith and their choice of good over evil, love over hate. Simply put - without the freedom of belief, ALL of us at at risk - including those who sit in high places - from those whose narrow minds proclaim the only choice we have - is theirs. Because of the tremendous courage this man has shown. And because in the midst of his suffering he still speaks out for the oppressed. We have the right to believe as we choose, without fear. Christians and Jews are harrassed and murdered for their beliefs. Christians are blamed for the acts of evil people who do not qualify as Christians from the days of the Crusdades to the current day. The Jews are condemned just for trying to stay alive. For a Muslim to risk his life to become a Christian-clearly to practice Christianity in true pursuit of the Golden Rule-is indeed worthy of a Nobel Prize. I say this as person who does not belong to either of these faiths, but I do believe in freedom of religion and I support all Christians and Jews who actually live up to the principles of their faiths. Christians are being persecuted and the world is deafeningly silent. The peace prize has been given to undeserving people, such as Barak Obama, a man without courage, or an understanding of what peace demands of us as individuals. Mr. Umar understands. I have always believed in freedom of religion throughout the world. I have always been proud to be a Jewess, born, raised and living in the U.S. Too many people killed worldwide because of their beliefs in religion. If committee is to show it is NOT just a 'politically correct' organization, but IS concerned with Peace and Freedom, there can be no better recipient. Pastor Umar Mulinde knew that to leave the violence of Islam would cause him to be a target for the violence of the Islamists, yet Pastor Mulinde did leave Islam to convert to Christianity, a true religion of peace and love. Islam FEARS those who know the truth about Islam and convert out of that violent political ideology and so, Islamist seek to kill apostates. Pastor Mulinde will spread the word of truth about the violence of Islam and, through this action, will forever be targetted for death for his 'crime' against the cult-like Islamic political ideology. Israel is providing him free medical treatment. I guess the liberals at Change.org also would consider that evidence of racist apartheid? I am surprised to see this here, but can see that change.org is not promoting it. It's not politically correct to expose Muslim violence toward minorities which is demanded by the Koran. If the victim were gay (as long as the perpetrator wasn't Muslim) there would be thousands of signatures. Liberal hypocrites. To stop the Islamification of democratic nations and to open people's eyes and minds to the true Islam, not the one the Muslims want us to believe in. Just as Malala is a symbol of struggle for women's right to education, Umar is a symbol of fight for people's right to belief, which is a fundamental human right. Because he stands for love.